I cleaned my “plate” today — I was so hungry. I took a bite of the chicken patty and my mouth recognized something familiar: there was a real chuck of chicken in my patty! I took a picture (below). 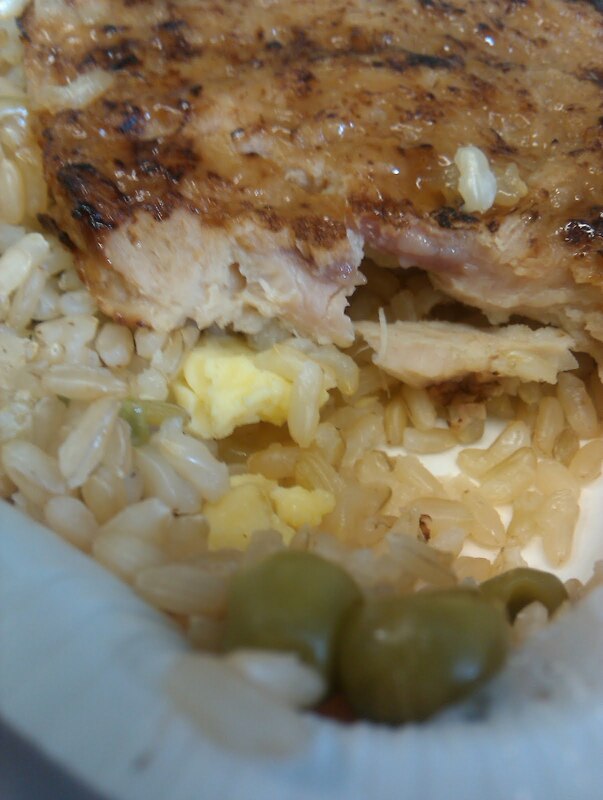 I don’t remember the last time I had chicken teriyaki if it was like what I ate today. I can’t tell you how excited I got when I tasted real chicken. The rest of the chicken patty did seem to be more uniform in texture and taste, but I think that there was more than just one bite real chicken in the patty! Yippee! The carrots were a little on the mushy side, but that’s ok. 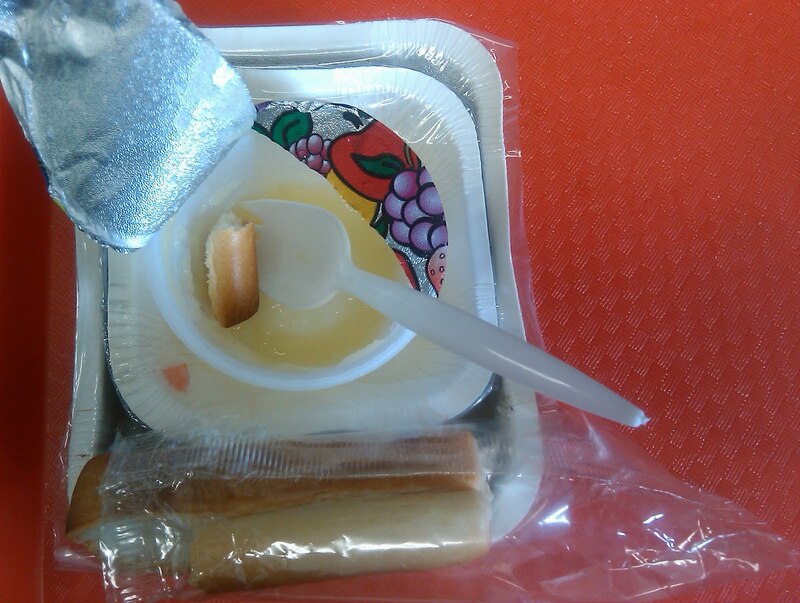 The applesauce definitely was unsweetened and really tasty. 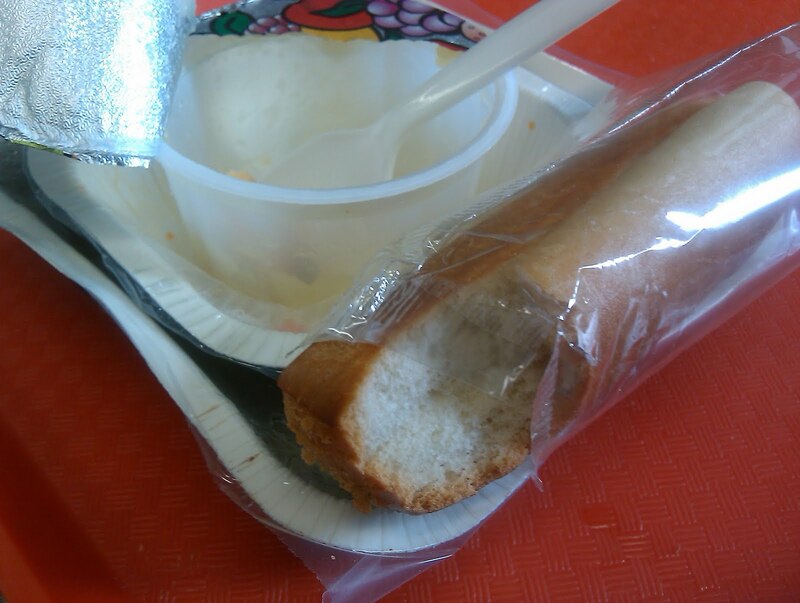 Notice the breadstick is there because of the two grain requirement (rice + something else), which is directly from the USDA meal planning patterns (not the lunch ladies or even the nutritionists at the district level). 1) I watched The Future of Food with my husband a few years ago and I was depressed for days. I was so sad about the farmers and the seeds. I felt helpless. I didn’t want to sit around feeling hopeless again. 2) I thought I already knew everything Food Inc covered. Like I said, I watched The Future of Food and I don’t eat fast food and make healthy choices at the grocery store. Didn’t I already know about industrial food production? Wasn’t I already doing enough? If those are the same reasons that you are holding out, I encourage you to watch the movie. We have a Netflix subscription and so I was able to stream it for free over the computer (huge perk of Netflix). 1) Vote with your fork. If you can buy organic, you should try to do it as much as your budget allows. One example in the movie was Stonyfield Farms. Every time you purchase one of their products you put dollars toward sustainability and not to mention a high quality yogurt. Even Walmart was in the movie and you already know that I don’t shop there. Their top executives stated that they do what the customers want and when their customers wanted milk that was hormone-free, they changed to provide hormone-free milk. When a large purchaser like Walmart radically changes its buying patterns, it moves mountains in food production. 2) It is food policy that is driving a lot of our country’s food problems. We need to stay on top of what’s happening in Washington DC with the FDA and the USDA. 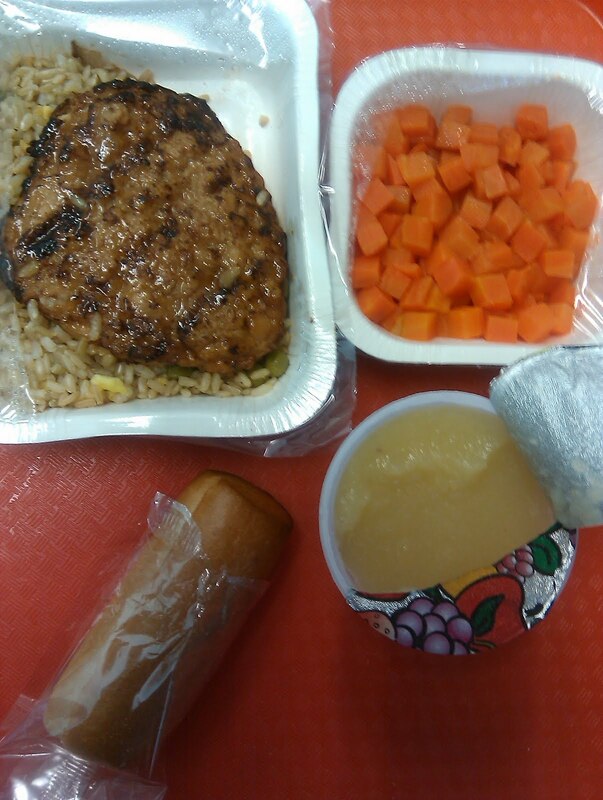 Many of you have commented already about how government subsidies have a big role in what we are eating and as an extension what I am eating at school. Well, I dismissed that as too esoteric for me to fully grasp. Food Inc showed me the connections between government subsidies and what they are doing to the entire food system of our country. Watching the movie has changed me. I’m really happy I did and thankfully I’m not depressed. I was sad at moments during the film, but I feel hopeful. Have you watched Food Inc and, if so, what did you think? I don't know if you've ever seen the Matrix, but you would get a kick out of this scene where Morpheus invites Neo to choose the red pill or the green pill. You, my dear, have now swallowed the red pill. Never again will you be able to just put your head in the sand and eat cluelessly. There is no turning back. Welcome to the real world. I look forward to working with you and others to wake up more eaters! Food Inc. was GREAT! It was the first of all the waves of "food movies" that I've seen. I've been on a roll ever since. It had a ton of great info, and like you said FREE on Netflix, I recommend it to everyone! I didn't realize all of this was going on in the food industry. Now, I'm on a mission to try to change things with my fork! My husband and I watched Food Inc. a year ago or so. I'm with you on choosing not to watch some of these documentaries because they depress me, but I felt like I gained a lot from Food Inc. I've also read all of Pollan's books (including the ones that aren't really food-related –he's an entertaining writer). By the time I watched Food Inc., I was already staying away from beef, but that movie really influenced how I feel about chicken –so now I stay away from that too 🙂 Not totally, since I do eat meat at restaurants once in a while. Another great movie was "Killer at Large: Why Obesity is America's Greatest Threat"(also free on Netflix)..that's my 2nd favorite food documentary, and then , finally King Corn. i stopped eating meat literaly 2 days before i watched Food Inc and after seeing it i was so glad that i did. it was shocking! my mom was already buying almost all organic foods, but we go to our local farmer's market a lot more now. yes, it's more expensive, but it's organic and i don't feel so bad about feeding money into the industrial food machine. have you read michael pollan's book (if you haven't i really recommend it)? i'm reading it right now and every time i sit down to read it, i am shocked at what i learn. our food system is really screwed up, and all these years i had no clue! i am only 18, but still. i feel like my whole life i have been terribly uninformed and lied to. Just curious, I guess you don't shop at Super Target either? I recommend Pollan to everyone. It is my hope that more people educate themselves and demand solutions to this food mess we are in–a mess largely created and/or enabled by federal guidelines and agencies. But there is so much to fight. Yesterday the FDA had a hearing on whether or not to allow genetically modified salmon to be sold in markets. If allowed, other generically modified animals will surely follow. We must all make ourselves be heard on these issues. It's so important–everyone eats food, and it should be good, natural food. Food inc changed my life. Currently, buying organic is still asking too much financially, however I can certainly buy local–and do avidly. I eat meat sparingly, so in short, the bulk of the food we eat in my house is locally produced. I am BLESSED to live in a city brimming with mom and pop produce stores. Some are right next to big supermarkets. There has been a massive push in my community toward buying local, to the extent that I saw fruit rotting in the supermarket and prices getting slashed drastically just to move the product. The result? Last month I opened my local mega-mart's weekly flier and found a pull-out: PRODUCTS BY LOCAL FARMERS. If featured all of the locally grown produce which was on sale in the mega-mart that week, and provided profiles about the families who grew and picked the fruit. The blueberries on sale that week were nearly sold out by the time I got there. So yes. You are absolutely right, Mrs Q. We have voted with our forks in my city. The results are in, and now EVERY STORE (big and small) which sells produce in my city LOUDLY declares what was grown locally, and what has been imported. It feels like that scene from a Bug's Life (that Disney cartoon), when the grasshoppers talk about how one ant isn't very intimidating, but an entire army of them can wreak havoc. We are the ants, and by collectively making the same small changes in our lives, we're showing the big guys who's boss. Don't forget it. Also, it's important to note that a lot of your local farms might not be certified organic, but that's not to say that they aren't following organic standards. It's just too expensive for some of them to earn the official certification title. Sometimes, more powerful than buying organic produce from another state/country, is buying local produce from a farmer's market or fruit stand–organic or not. I think the quote about slaughterhouses can't be correct. I know of half a dozen slaughterhouses in Washington state alone. Granted, some are smallish, but that's good, right? Plus I know there are at least 3 large Kosher slaughterhouses in America. that would be 9 of 13? seems unlikely. I was really impressed by what Joel Salatin from Polyface Farms had to say. Ellwood Thompson sells his stuff right here in Richmond, VA. Check Joel Salatin out on Youtube to hear a lot more. I am one who has encouraged you. Food Inc. really opened my eyes. It also showed me that as long as big business and big government are holding hands it is going to be next to impossible to change school food. (I've made ref. to a game of red rover before) There is going to have to be a ground swell of the little people, people like us. Mom's, who care who create enough noise for there to be a tipping point. So keep making noise people! and gained weight. Went back to her roots so to speak and tells us what to eat and why. Yes she eats meat and chicken, grass fed beef, free range chicken. With every book I read and every time I research something else comes up and I realize how much is hidden away from us about our food system or how much our government in the form of the USDA or other branch has lied to us because a big company has paid them money to…and that just really ticks me off. I feel like we the people have become a big biology experiment at the hands of big business and big government. I really liked your summary of the Food, Inc. My largest takeaway from the doc was "Vote with your dollars" too. My only issue is this: grass-fed beef. I am a vegetarian but my husband is NOT. After watching Food, Inc and taking a Food Safety class, I insisted that we purchase only grass-fed beef for him. He tried it 3 times but says that the flavor is so different from what he is used to and won't eat it. This disheartens me because I feel that the beef industry is a major source problems for our environment and food system, not to mention the cruelty! Anyone have any suggestions on what to do about this? And….Is that BROWN RICE I see? 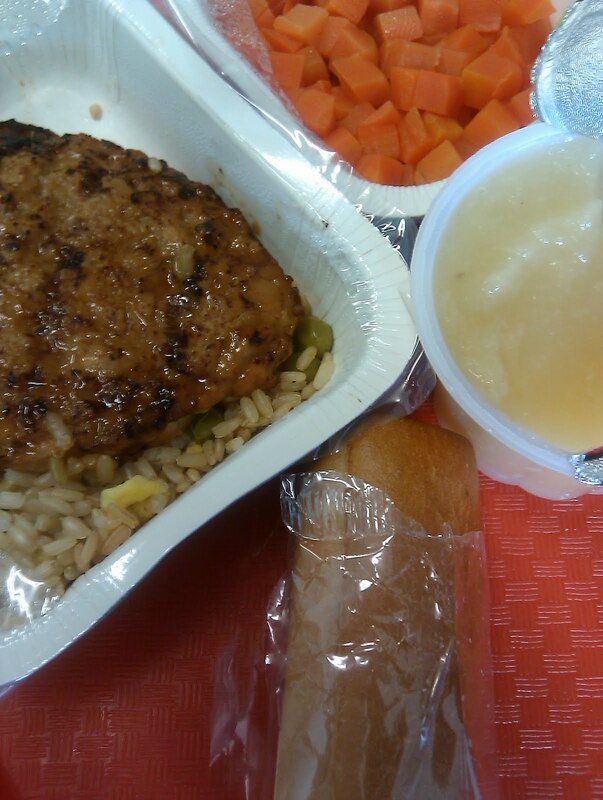 Anybody else see a positive difference in the lunches from this year and the lunches from last year? I have to clear up one gross misstatement from the movie. We raise cattle, and it is not possible to put them on a corn only diet. Yes, they are fed some corn to make them fat because, let's be honest, this is how we make our living, and it costs more to feed them grass for three years than to give them some corn and feed them for 18 months. Corn-fed beef also has better flavor and is more tender than grass-fed. When we're preparing their feed though, there's at least twice as much hay (grass) as corn. That's by weight – since hay is so light, it takes a lot of hay to get much weight. Honestly, I look in the feed mixer and can hardly tell there's corn there with all the hay rolling around. These animals need fiber in their diet as much as humans do, and to state that they're being fed corn only is a bald-faced lie. Our cattle also don't lie around in their own manure. They tend to deposit most of their waste on the side of the pen away from where they eat, and we give them a nice bed of straw as needed to keep them clean. Now, I'm not saying all the big cattle feeders are this sanitary, but the slaughterhouses don't like to buy dirty cattle, so it is in the owner's best interest to keep them clean. We're more than happy to take a steer to our local butcher and sell the quarters for a fraction of the cost in the grocery store. See if this is a possibility in your community. Beef is not evil. Most of the owners genuinely care about the well-being of their animals. It's just that the few bad ones make the news while the majority of us don't. I would try to encourage your husband to stick with the grass fed beef. You get used to it. I was raised on grass-fed beef that could be organic if the local farmer we know wanted to pay the money to get certified. It's just like any new food that requires you to keep trying it until your tastebuds adjust. I actually can't eat beef that isn't grass-fed because it causes me major digestion issues. You might try starting wtih more flavorful dishes, like tacos, and slowly moving to spagetti with meat sauce, until he doesn't notice a difference anymore. When I was growing up my parents didn't spend alot of money buying myself and my siblings (4 of us) stuff. They always made sure we had tons of locally raised beef, and lots of local fruit and vegetables. It was more because we believe in supporting local business but now I realize it was one of the best choices they ever made for me. When I watched Food Inc. for the first time, it was with my parents and I had never been more grateful to them in my whole life. Food Inc. actually changed the entire direction I plan to take with my career. I watched Food Inc. in January and have not eaten meat since then. I totally lost the "taste" for it after watching the documentary. It also inspired me to start my own small vegetable garden in my backyard. We try to buy as much organic as possible. I recommend EVERY ONE watch Food Inc! Food Inc. has opened my eyes and I called around in my community to find a place/farm that treats and feeds animals in the proper way. King Corn is good too. I love the Netflix program of free streaming and DVD. @Lisa R. Suriano – have your husband try Beefalo. Wonderful flavor, leaner than beef, high in protein and grass fed. http://www.beefalomeats.com/Home_Page.html For me it's a local company, which is a big plus. I love that movie. I watched it twice and sent it to my mom and sister to watch too. I think it would be fun to see if we could go a whole week without eating corn or anything that ate corn. I don't have a problem with corn in general, but I do think it's a bit odd and possibly problematic that it is in everything. I've watched Food Inc. twice now. I really liked the movie and recommend it, but it does get me down. Particularly the part about Monsanto suing small farmers (and can anyone watch the part about the 2 year old without tearing up? I can't). The first time I watched it I went away feeling more sad than hopeful. It felt overwhelming. I've been told that the movie "Fresh" is about less of what's wrong and more of what to do about it, but I haven't been able to see it yet. Anyone know? For grass fed beef – that's what we eat now. But we literally only eat beef every few months as a treat, so at least the money isn't much of an issue. I recently bought a (very small) grass finished steak for my husband's birthday dinner. I really don't taste much of a difference. It's not as tender, but otherwise, it tastes like meat to me. I'm so happy to see this post and discussion! I watched Food, Inc. last year and have really been researching the food industry since. I think a lot of people are happy not to know what goes on at giant feedlots/CAFOs and egg laying "factories," because once you know, you have to decide if you're OK supporting it or not. If you are not, then that means changing the way you eat, and a lot of people think it's too much trouble or too expensive. I have to say that I think our current industrial food system is at least partially the result of the population telling food companies that we value cheap food and convenience above everything else. Giant corporations would feed us with a spoon if we would pay them to do it. What we have to do now is tell them we no longer value convenience and cheap food more than a sustainable, local, sanitary, transparent food system. Vote with your fork (and read The Omnivore's Dilemma)! I did get Chew on This which is the young reader's (teen?) version of Fast Food Nation. My daughter picked it up and read it after me and has declared she doesn't want to eat fast food anymore. Huh. I have not seen Food, Inc. My family can't buy organic all the time, just too expensive. However we do buy locally when we can, and also organic when we can. I've been a vegetarian all my life so I can't speak to taste, but my husband and son love buffalo meat, as do my parents. Buffalo is much leaner than beef, and most buffalo are raised and processed much more cleanly than cattle. Just a thought. Food Inc should be required viewing for all school going kids…i kid you not. Get them thinking about these issues while they are still young. We owe it to our kids. I can't remove the image of the factory worker dumping a tray of baby chicks down a shoot like they were grain. I actually cried. My biggest takeaway from the movie though was grass fed beef. I didn't know that cows can't digest corn, hence the widespread issues with e coli contamination. And don't even get me started on the ammonia-cleaned fat fillers. Disgusting. Because of the expense of the grass-fed beef($4.99/lb versus 1.99/lb for the bulk pack of 90% lean ground beef) I limit my family's intake to just one beef meal per week now. We used to eat it 3- 4 times a week. The flavor of the grass fed beef is AMAZING! I can't get over the difference in taste and texture. I tried switching to free range organic chicken as well, but at 12.99/lb it just doesn't find a place in our budget right now. I thought we were fairly healthy eaters before I saw the movie, but after seeing the filth in those slaughterhouses and chicken farms I pay more attention now to our food purchases than ever before. Melissa Lynn: Smaller farms tend to be more sanitary than the large industrial cattle ranches. At the big feedlots, the cows are literally sitting in their own manure. Personally, I spend the extra to buy grassfed beef from a local producer because I find it tastes better (not having been brought up on cornfed – big feedlots in Canada use alfalfa instead of corn) and because I feel better knowing that the cows aren't being fed a substance that damages their health. Corn-fed cows have to be slaughtered younger because they wouldn't make it to three years old. I've seen the movie. I thought it was well done and very informative but it did make me sad too. My husband watched it with me and said he wanted to make changes in his diet/grocery purchases, but he never followed through. It makes me angry that he knows what's going on, yet does nothing to change it. He balks at having to pay higher prices, and unfortunately many people only care about the bottom line. I will not see the movie because I know there are some untruths and half-truths presented as gospel in the movie. It makes me question all the other things in the movie as maybe flexible reality. I figure I know how to eat healthy – and conversely know when I'm not – and I also know how to do my own research so I don't need someone who I can't trust preaching to me while I pay for it. I still eat meat. I had read (not sure of the source) that the three main players in making Food Inc. are not vegetarians either. I feel that meat is an important part of human’s diet and we have been eating it for so long that our bodies are designed to thrive off of it. I do, however, try to only eat cage-free, no hormones, natural chicken meat and eggs. Also I try to eat grass-fed beef that is from local-small farms. This means I eat vegetarian when I go out to eat and eat meat at home where I can determine the source. Reading In Defense of Food by Michael Pollan and Animal, Vegetable, Miracle by Barbara Kingsolver about 3 years ago TOTALLY changed my approach to food and eating. I have continued to watch the various movies, read all the books I can, and just educate myself in general to these issues. I can't say I am perfect, and my financial situation now is such that I can barely afford food, let alone organic most of the time. But it is so true the comparison to The Matrix – Once you have learned the truth, you can't unlearn it! I bought some cheap chicken and beef for the first time a couple of weeks ago when I was trying to figure out how to eat on my newly poor college student budget, and I felt like I had been kicked in the gut. 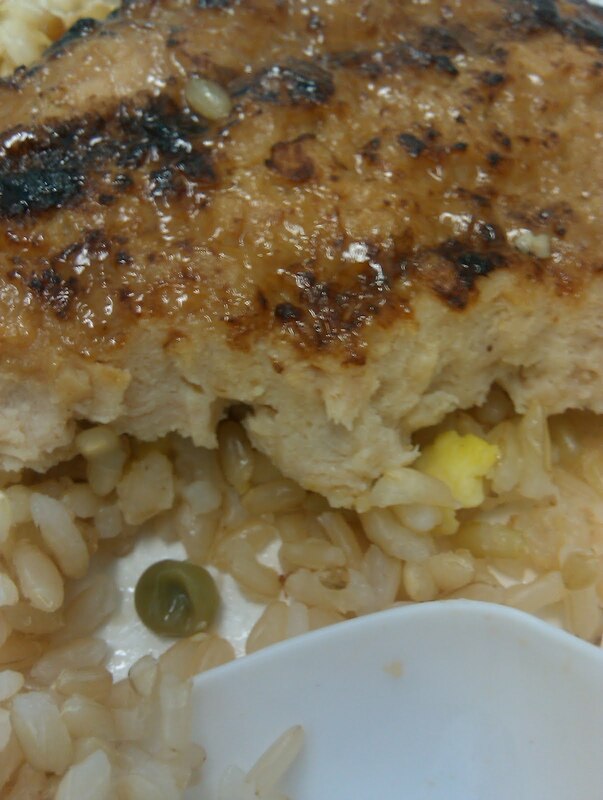 It didn't digest well, didn't taste that great, and I felt so guilty about eating it. I still have a couple items in the freezer that I can't afford to just toss, but I am back on the local, organic or else vegetarian wagon now! On the other hand, I have tried to share this information with my mom who is a wonderful, gourmet cook but insists that every meal be centered around a large hunk of meat. Her response is literally "LA LA LA LA LA LA LA!!! I can't hear you!! Don't ruin my dinner with this kind of talk!!" Sigh…it takes time I guess. It's up for debate if it's better to each organic or locally. For me, in Vermont, I'd much rather buy produce from a farmer I know down the road than pay for organic produce trucked in from California. Getting organic certification is an expensive process, but there are plenty of family farmers using organic practices and little to no chemicals. If you buy the produce from someone you know, you can ask these questions and build a relationship of trust between the grower and yourself. Food Inc. is a good movie. I did already know much of what was in it, but I thought the presentation of the information was suitably somber and moving. My hatred for Monsanto is visceral. If you haven't read the book "In Defense of Food" by Michael Pollan, it is a must read!! What an eye opener! My husband and I also recently watched 'Food Inc.' and although we knew how chickens were "raised", watching this film was literally nausiating. I now only eat beef that we raise ourself, and chicken that is pasture raised by a local farmer. Occasionally we do eat fish. I have recently taken on my own challenge. I have challenged myself to 100 days of REAL food. I'm following some "rules" that follow Michael Pollan's book. The top three "rules" include: 1. Don't eat anything that my great grandmother wouldn't recognize as food. 2. Don't eat anything with an ingredient that a 3rd grader couldn't pronounce. and 3. Don't buy anything that has more than 5 ingredients. I'm almost 30 days in and it is such a journey!! Please feel free to share it with me and I'd love to hear your feelings and comments!! i saw food, inc earlier this year, and i saw king corn last year. both are very good. i already knew some of the info, but it was good to see it again. 1 other book that i might recommend is "eating animals," by johnathan safren foer. while it is about being vegetarian, he clearly states that deciding to be vegetarian is a personal decision & not for everyone. it also has a lot of details about the animal industry that make you rethink the entire corporate food system, especially animal agriculture. while i am a vegetarian, i had been buying eggs, mostly for baking on and off. this book finally got me to quit supporting the egg industry, and just in time, too. i dont know if anyone mentioned this so i will..you can watch all of Food Inc on Youtube! I couldnt finish it as im a vegitarian but i def got the message! @Melissa Lynn- I think it's fine that you feed your cows corn; however, I won't eat it. It's the equivalent of Doritos for cows. Sure, it fattens them up and fat tastes good, but it also ruins their digestive track and opens them up to disease. Not exactly what I want to be thinking as I sit down to a nice steak dinner. You can do as you please, but it is possible for cows to survive on a grass-fed diet.